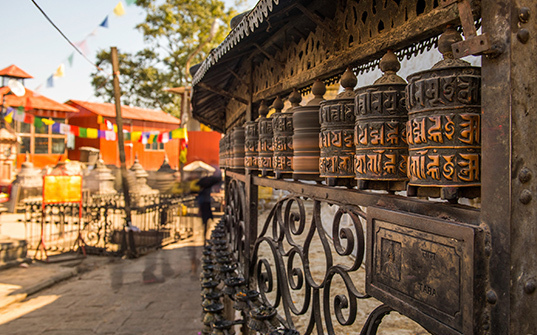 A Visit to Pashupatinath Temple and Budha Nagnath Temple. Double sharing hotel in Nepalgunj and Triple or Quad Sharing accommodation in Simikot and Tibet all places with meals. Transport by Tourist Bus up to Mansarovar and Eco Buses from Masarovar to Darchen Yamdwar as per group sizes/Truck for Luggage. Note: Post Mansarovar, Private vehicles are not allowed. All beverages during trip and in Nepalgunj and Simikot. Any additional stay cost due to flight delays caused due to weather conditions. Walking Stick and a water bottle. Guide & Entrance fees during sightseeing. Any other item not specified in ‘Price includes’. The above itinerary is tentative and subject to change and the final itinerary will be shared at the time of handovers. Today morning, post breakfast, Visit Pashupatinath Temple, Budha Nagnath Temple. There after you will get time for Yatra Preparation. 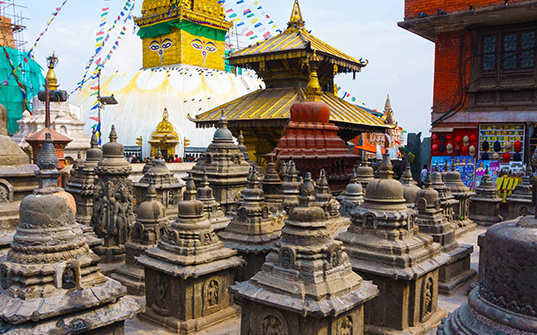 Post Lunch, you will be transferred to Kathmandu Domestic Airport Terminal and you will board a flight to Nepalgunj. On arrival you will be met and transferred to your hotel in Nepalgunj. On arrival, check-in to your hotel. Overnight in Nepalgunj. Today morning, post breakfast, you will proceed for Nepalgunj Airport and board a flight to Simikot. It will be small 45 minutes flight. Simikot is a town located in Nepal at an altitude of 3000 meters above sea level. On arrival at Simikot, you will be transferred to Hotel. Later Visit Shiva Temple in Simikot. Rest of the day is free for acclimatization and leisure. Overnight at Simikot. Today after breakfast, Proceed for Simikot Airport to board your Helicopter for Hilsa. It will be small 30 minutes flight by Helicopter. 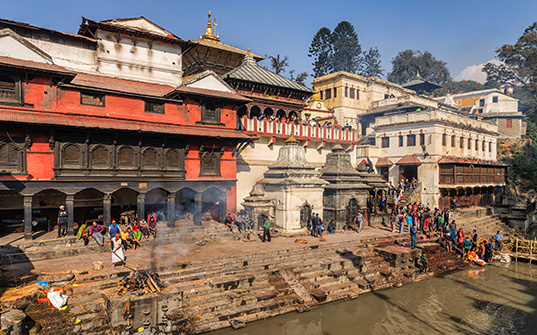 Hilsa is a small town in Nepal at an altitude of 3700 meters above sea level. Later proceed by road to Purang which is located on 3800 mtrs above sea level. It will take approx. 01 Hour to reach Purang. Rest of the day is free for leisure and acclimatization. Today post breakfast, proceed for most beautiful and sacred journey of this tour. Holy Mansarovar Lake is located at an altitude of 4558 mtrs above sea level. 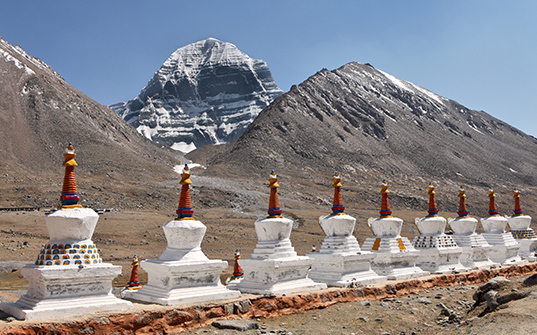 You will get first glimpses of Kailash Mountain and Holy Mansarovar Lake. 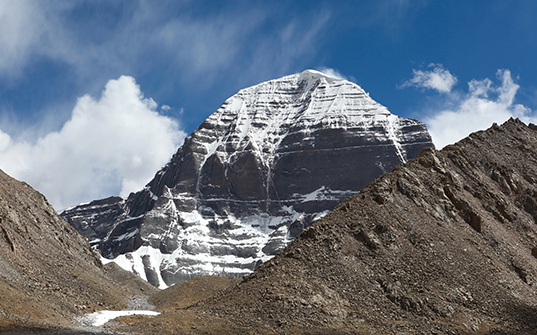 Kailash Mountain is considered sacred in Hindu Mythology as an abode of Lord Shiva. This mountain is also considered sacred in Buddhism, Jainism and Bon Religion in China. 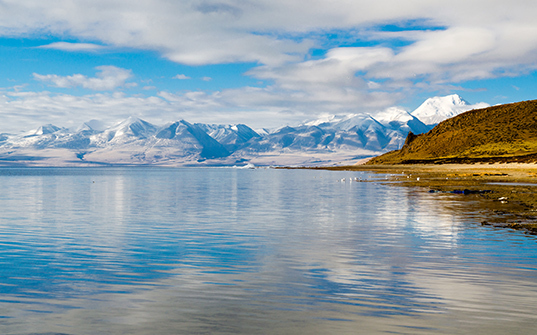 Holy Mansarovar lake is a Highest Fresh Water Lake in the World with turquoise blue water. 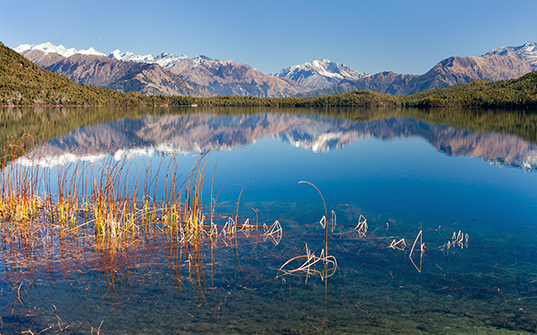 This region is rich in Gold and other mines, Hot Springs, and many wild living creatures. We will do Parikrama of Lake Mansarovar. Overnight at Mansarovar. Today Morning is free till Lunch. Post Lunch, drive to Darchen. 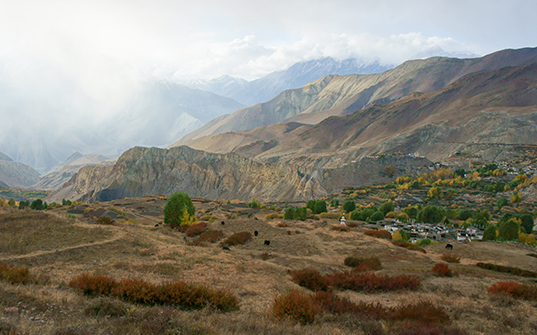 Darchen - located At the foot of Mt. Kailash. Its altitude is 4,575 meters (15,010 ft). Every year, thousands of travelers, pilgrims and photographers come from all over the world to visit the holiest mountain in Tibet and stay at this small village, making the village an international town. Today post breakfast, you will start your Mount Kailash Parikrama. Today you will board your vehicle and drive till Yam Dwar. It will be almost 45 minutes’ drive. From here your trek to Dehrapuk will start. It’s an 18 kms trek will be covered in almost 07 to 08 Hrs. this is a beautiful trek walking along beautiful rivers, waterfalls and rocky terrain. Today your stay will be at Dehrapuk. Those who are unable to trek for Kailash PArikrama, will go till Yam Dwar and later they will come back to Darchen for Stay till rest of the yatris finish their trek and come back. Hardest but Holiest day of your pilgrimage Yatra with Dolma-La (pass) of 18600ft between two valleys: Yamasthal should be crossed to reach the Shiva-sthal, here there is the symbolical death, Pilgrimages leave the Old clothes, strand of hair or a drop of Blood in hope, that terrible Yamraja (The master of death) seeing these signs and will allow the Yatries (travelers) to be born in spirit to pass Dolma- La. The pass associates at Buddhists with the goddess Container, and Hindus with Godess Parvati, divine wife Lord Shiva. On the pass tourists and other pilgrims hang out the Tibetan flags. Once you reach the top pilgrims perform holy offerings and sit down to meditate. Once your steps go down, Parvati-sthal and Gauri Kunda are on the way. By the late afternoon you will arrive at Zuthal Puk (the cave of Miracles. The great ascetic Milerappa is supposed to have performed miracles here). Overnight in Zutul Phuk. 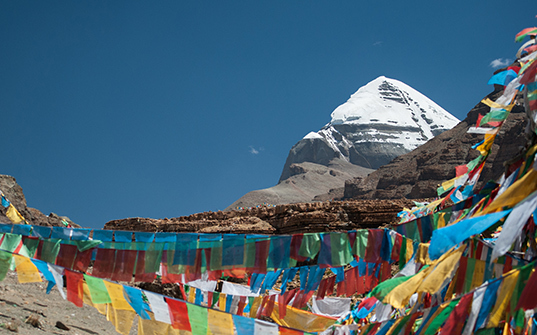 Today is the last day of your Mount Kailash Parikrama. It will be short 03 Hours trek to Zongdo. Later drive to Darchen. Later proceed to Hilsa or Purang. You will stay at Hilsa or Purang depending upon weather. Today early morning, you will proceed for airport in Hilsa / Purang to board your flight to Simikot. Later board your flight to Nepalgunj. Later again take a flight for Kathmandu. 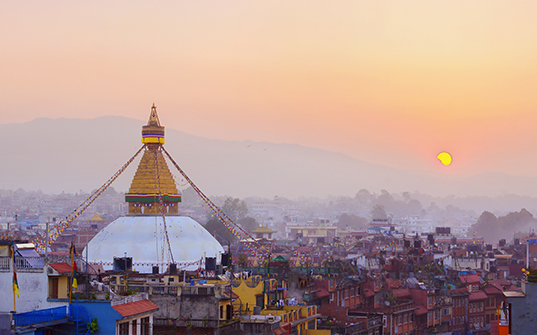 Overnight stay at Kathmandu. Today after breakfast, Proceed for Airport to fly back.